The DVD is a true collector's edition, including additional footage from the last on-camera interview with Michael Manley, an international photo montage of the post-Seattle Anti-Globalization movement and insightful director's commentary. Music Video "Mr. Heartless" by Anthony B. 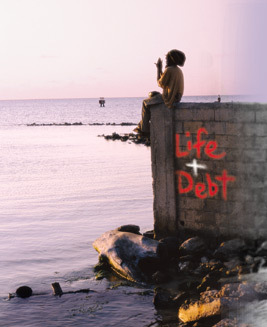 The LIFE and DEBT soundtrack, released by Tuff Gong, is available in the SOUNDTRACK section of your local record store. Profits from soundtrack sales will be donated to URGE, a non-profit organization founded by Ziggy Marley and the Melody Makers. URGE is devoted to bringing relief and hope to suffering and underprivileged people around the world. The title song from the film's soundtrack, "Life and Debt" is also included on Mutabaruka's first studio album since 1994, Life Squared, released on Heartbeat Records. 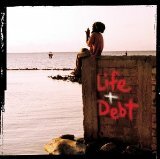 Review of the Life and Debt soundtrack at JamaicaObersver.com. Licensed for public performance. Social Sciences, Labor, Economics, History, Agriculture, Film, Caribbean Studies. The "Unpayable Debt" working group at Columbia University's Center for the Study of Social Difference is pleased to announce the launch of Caribbean Syllabus: Life and Debt in the Caribbean, the first digital resource to study and discuss the region’s five-hundred year history with debt crisis stemming from colonial governance by European nations and the United States. For all distribution related questions in France, please contact EuroZoom. We are pleased to announce that MongrelMedia will distribute LIFE AND DEBT in Canada. For all Canadian distribution inquiries, please contact: info@mongrelmedia.com or visit their web site. For distribution inquires for the Caribbean, South America, and Africa, please contact Tuff Gong PIctures. LA Weekly's Ernest Hardy and Paul Malcolm pick Life and Debt in his Best Films 2002 list. LIFE and DEBT WAS AWARDED BEST DOCUMENTARY AT THE JAMERICAN FILM FESTIVAL. LIFE AND DEBT RECEIVES THE CRITICS JURY AWARD, HONORABLE MENTION "BEST FILM OF THE FESTIVAL" AT THE INDEPENDENT FEATURE PROJECT/WEST LOS ANGELES FILM FESTIVAL. The critics jury was comprised of Jami Bernard from the New York Daily News, Emanuel Levy of Screen Intl. and Stephanie Zacharaek of salon.com Over the nine-day event, 51 features and 48 shorts were screened for audiences that totaled more than 30,000. PopMatters' Film and TV Editor Cynthia Fuchs. 'Life and Debt': One Love, One Heart, or a Sweatshop Economy? the New York Times reviews Life and Debt. 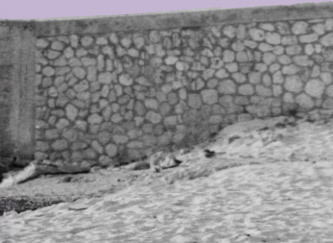 Revealing the Transparent: Stephanie Black Unveils the Jamaican World Beyond Tourism. FrictionMagazine.com reviews Life and Debt. by alternet.org and interspersed with interview commentary by the film's director, Stephanie Black. the New York Times mentions Life and Debt in their preview of the Human Rights Watch Film Festival. by the Japan Times Online Review written in English. by volume.com Includes video clips. by Vinette K. Pryce of Entertainment Journalists Association of Jamaica. by CNN: 'Life and Debt' Explores Jamaica Debt Burden. AFRICA UNITE is a singular and masterfully executed film that is at once concert tribute, Marley family travelogue, and humanitarian documentary, igniting the screen with the spirit of world renowned reggae icon BOB MARLEY in its every frame. In commemoration of Bob’s 60th birthday, Africa Unite is centered on the Marleys’ first time ever family trip to Ethiopia in 2005. Includes rare archival footage of world renowned reggae icon Bob Marley. There in the capital city of Addis Ababa three generations of Marleys take part in a 12 hour concert like no other, attended by more than 300,000 people from around the world, with the ultimate purpose of inspiring the young generations of Africa to unite for the future of their continent. Features exuberant on stage spots as well as a soundtrack brimming with Bob Marley studio classics. A non-profit Tuff Gong Pictures Production funded by ITVS, Soros Documentary Fund, National Endowment for the Arts, John Simon Guggenheim Memorial Film Fellowship, The Rockefeller Foundation, New York State Council on the Arts, Samuel Rubin Foundation, The Paul Robeson Fund, Edelman Family Fund, and The Solidago Foundation. © Copyright 2001 Stephanie Black. All rights reserved. A Tuff Gong Pictures Production. © Copyright 2001-2009 Stephanie Black. All rights reserved. A fascinating exposé of Florida’s sugar cane industry guest worker program Winner of the Grand Jury prize at the Sundance Film Festival, H-2 WORKER reveals the systematic exploitation of Caribbean laborers by the Florida sugar industry from World War II through the 1990s. Each year more than 10,000 foreign workers were granted temporary guest worker (“H-2”) visas to spend six brutal months cutting sugar cane near Lake Okeechobee. They were housed in overcrowded barracks, denied adequate treatment for frequent on-the-job injuries, and paid less than minimum wage. Faced with deportation and soaring unemployment in their home countries, workers had little recourse but to silently accept these deplorable conditions. For institutional purchase/classroom usage, please contact H2worker@gmail.com. More information on the current guestworker program expansion.